‘This Morning Live’ officially opens it doors at the NEC Birmingham this weekend! ‘This Morning Live’ kicked off today at NEC in Birmingham, the event lasts all weekend, concluding on Sunday. This Morning Live is an all-new lifestyle exhibition offering guests the ultimate shopping experience, spanning four days at the NEC Birmingham from 18-21 May 2017. 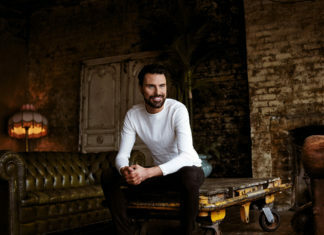 The event also features live appearances from members of the This Morning family including Phillip Schofield and Holly Willoughby, Eamonn & Ruth, Rylan Clark-Neal, Alison Hammond, Sharon Marshall, Gino D’Acampo, Phil Vickery, Lisa Faulkner, John Torode, Trinny Woodall, Bryony Blake and resident experts Dr Ranj, Dr Chris, Dr Zoe and Nik & Eva Speakman, the exhibition will feature all of the lifestyle elements associated with the award winning show. 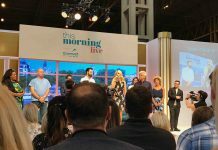 From fashion and style, food and drink, home, gardening and pets, to beauty, health and wellbeing, This Morning Live has promised to bring the essence of the much loved ITV Daytime show to life for viewers, offering something unique for every visitor. Talking about the event which kicked off today, Phillip and Holly said: “Taking the spirit, soul and studio antics to our audience is such an exciting prospect so we’ll be loading the van with as much heart and family as we can squeeze in! 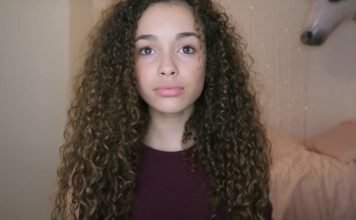 TwitCelebGossip is at ‘This Morning Live’ tomorrow, make sure you’re following us on our social channels for live updates throughout the day. 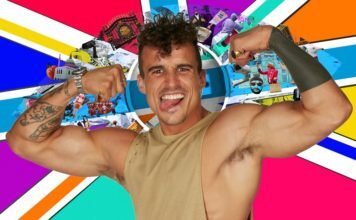 ITV announce This Morning Live! 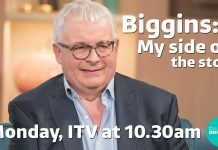 Christopher Biggins drops out of ITV’s This Morning appearance hours before show!